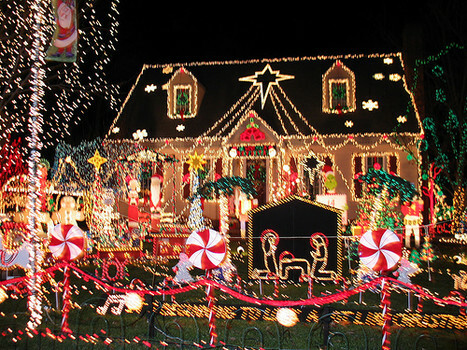 Neighbors’ dueling light displays. Glowering at each other. Competing for Most Festive. Bags and tins and boxes of chocolate-covered buttercream sugar balls. Or is relentless an illusion? Just like the intercostal muscles. Not the muscles that never rest. Muscle pairs get space and rest in every breath. Intercostals’ invitation: find peace interwoven in the fabric of living.